Have you ever wanted to try hiking with your dog, but thought it would be too hard or didn’t know where to start? I’ll let you in on a secret – hiking with your dog is actually just walking your dog on dirt tracks! Ok yes, it also generally involves rougher terrain, steeper inclines and tends to be more remote than your average daily walk, but hiking with your dog really is just another way of walking your dog. With the leaves turning, Autumn is a great time of year to go hiking. The days are still mild, the summer flies have dropped off and there is less risk of snakes with the cooler weather upon us. As always preparation is key to having a safe and enjoyable trip. 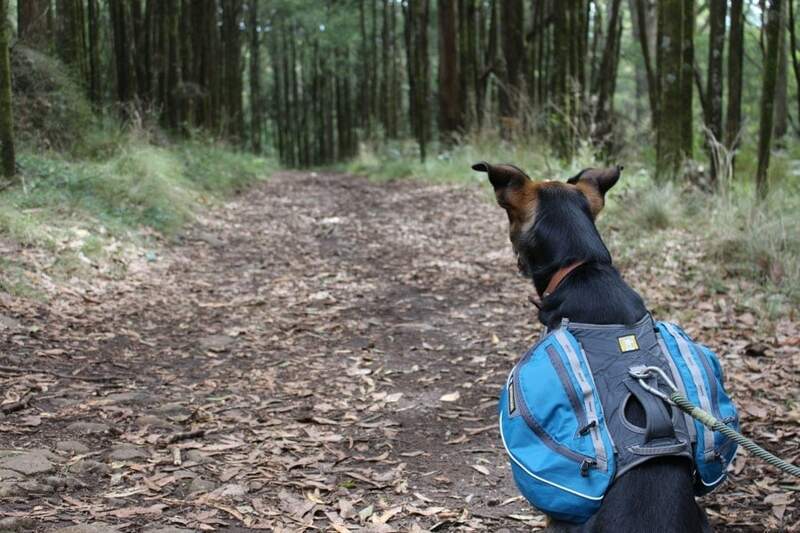 So follow these steps to have a fun hiking adventure with your dog. 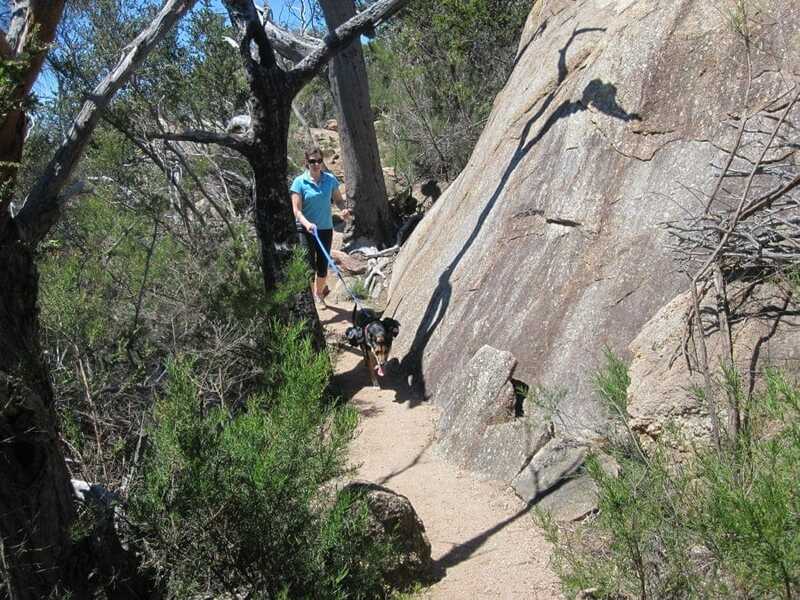 Not all trails are dog friendly, generally state forests and parks are dog accessible, but most of Australia’s national parks are a no dog zone. Make sure you do your research and find a walk that allows dogs. If you are just starting out, don’t expect to head out on your first day and summit a mountain! Ease yourself and your dog into it by choosing walks that suit your and your dog’s fitness and endurance levels. Make sure you are up to date with all your vaccinations, flea, tick and worming treatments and have adequate stock for post trip administration. Your dog can pick up these nasties while out in the bush, so be sure to have everything you need to treat them in case they bring these home. Before heading out on any trail, be sure to let someone know (a ranger is best where applicable) where you are going and what time you expect to be back in case of emergencies. If you are not back by the set time, they can raise the alarm and get help out to you if needed. Having the right gear makes the difference between a good trip and one in which you wish you stayed at home! Be prepared to carry gear for hot, cold and wet weather – especially in alpine areas where the weather is unpredictable and can turn quickly. The moment has come! You’ve prepared, you’ve watched the weather like a hawk and you head out to the bush to your walk of choice. Trail manners are a must in the backcountry so follow these tips to keep you and your dog safe on the trails. By keeping your dog on leash you can avoid many hazards that may pop up on the trail. 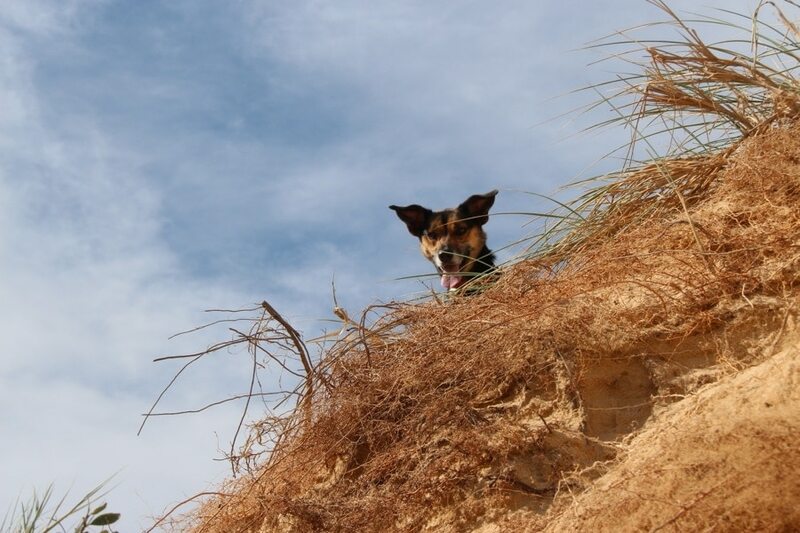 Dogs love to explore so ensure they respect native fauna and flora by keeping them to designated tracks. Even the best recall can fail if there is a roo near by! Be sure to take lots of breaks, especially when first starting out to ensure your dog is hydrating adequately and getting enough rest in between trail sections. If you dog starts to slow or is panting excessively, then stop, rest and once your dog has settled you can continue on. Cut paw pads can be a common injury while hiking. If you are climbing rocky terrain, then be sure to stop periodically to check your dog’s paws for cuts or peeling. Take a medicated dog safe wound gel for occasions like these or dog booties for added protection and treatment of cut paws. Adhere to backcountry etiquette and leave the trail as you found it. That means taking all your waste with you and sticking to marked trails when you can. Often forgotten, but very important part of a hike is the post trip fur check. Take the time and check your dog’s body for ticks, leeches, burrs or any other debris they may have picked up on the trail. Especially in the case of ticks, a thorough check is important and should be completed as soon as possible post hike. Tim has some great video tutorials on how to stretch your dog safely and as always, check with your vet prior to any stretching to see if this is suitable to your dog. Finally thank your dog for hiking with you! Dogs are the best trail partners (you’ll never hear them complain about the rain!) so give them a pat and a scratch as a thank you for hitting the trails with you! 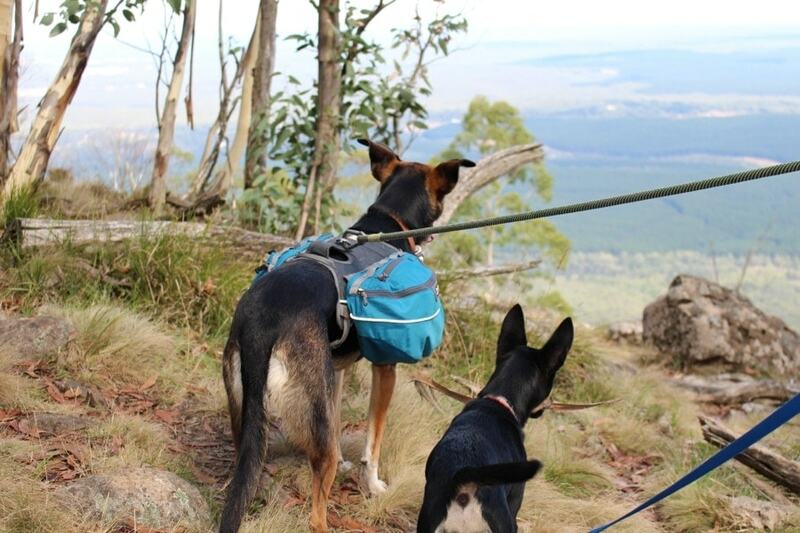 Jennifer is a web-developer and blogger who is passionate about spending time in the outdoors with her kelpie Kate. 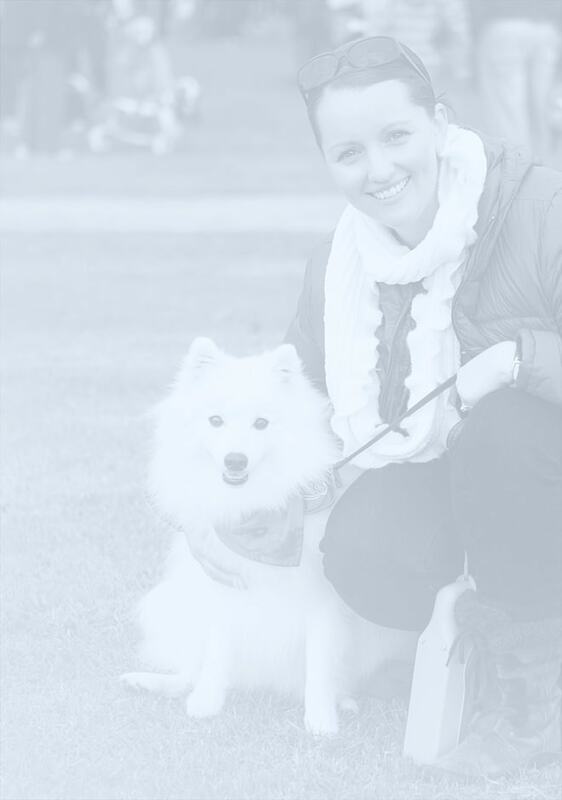 Jennifer believes in encouraging people to lead an active and inclusive life with their dogs and hopes Dog Adventures inspires people to do so. 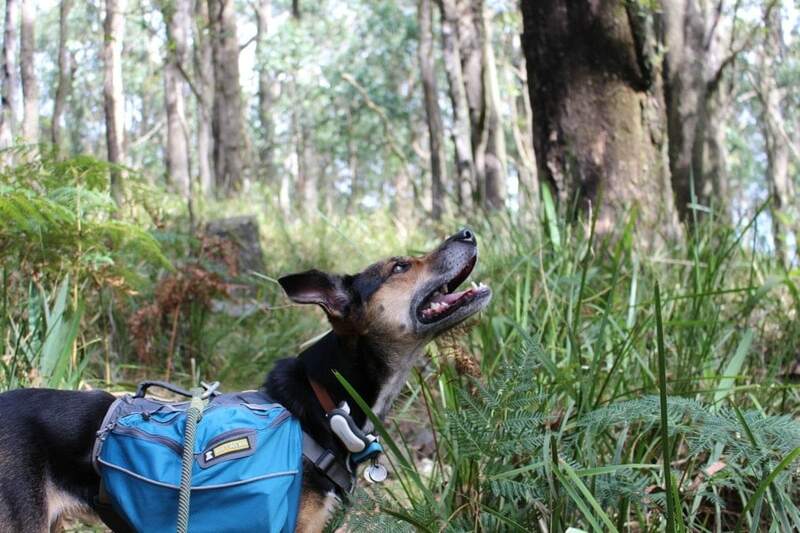 The aptly named Dog Adventures is all about encouraging people to adventure with their dogs and includes Australian dog friendly camp sites, hikes, stories and gear reviews.